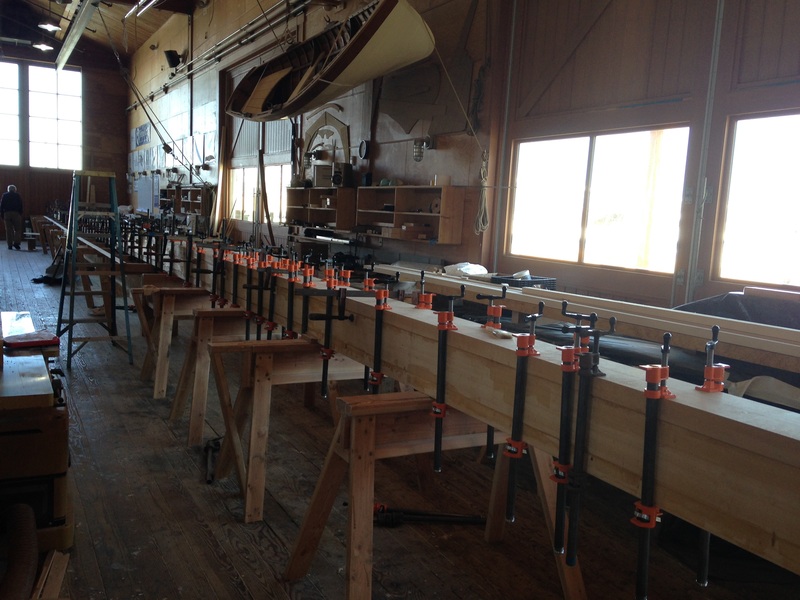 After the clamps were removed from the first glue up, Doug Jones made and installed the blocking for the spreaders. Photos of the blocking are below. 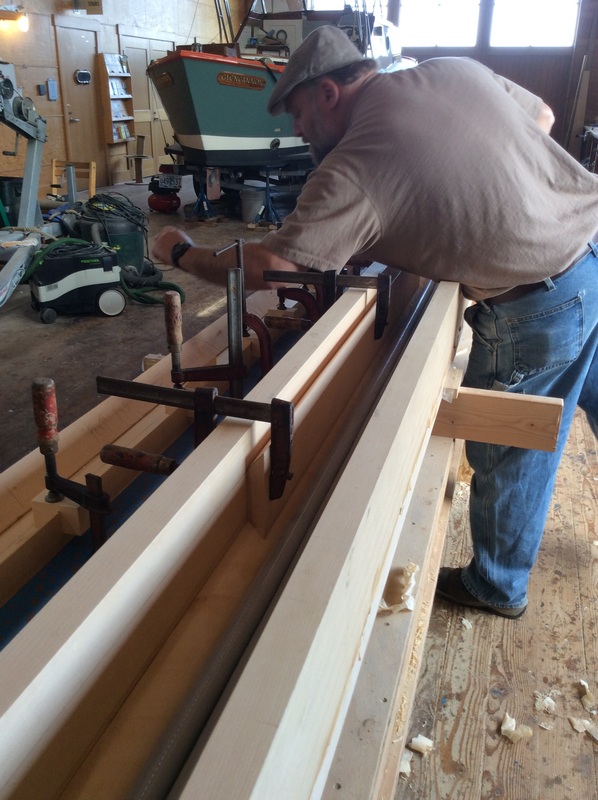 Then on April 6, we glued up the final side of the mast. Please click on link below to see the video. 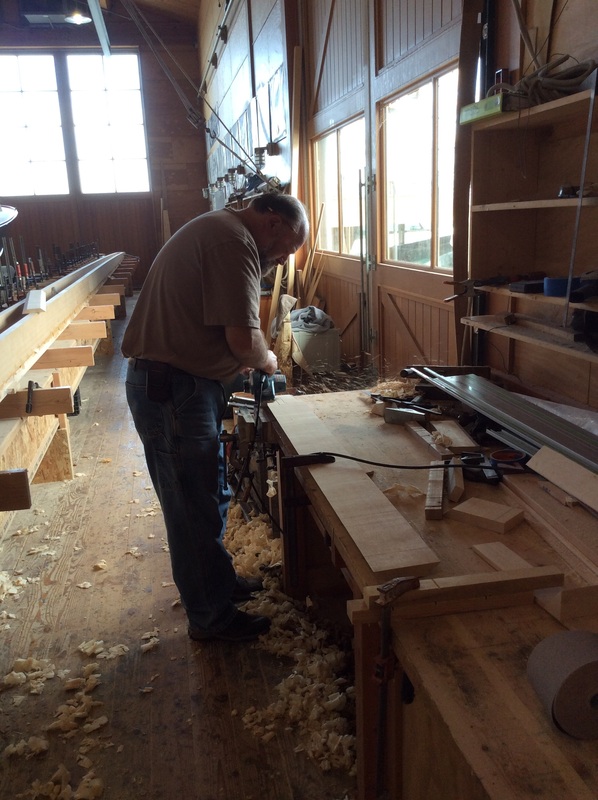 On Thursday, March 24, 2016 ORIENT’s 81’ mast (now almost 84’ and will be trimmed down to size) was glued up at the Northwest Maritime Museum in Port Townsend, Washington. 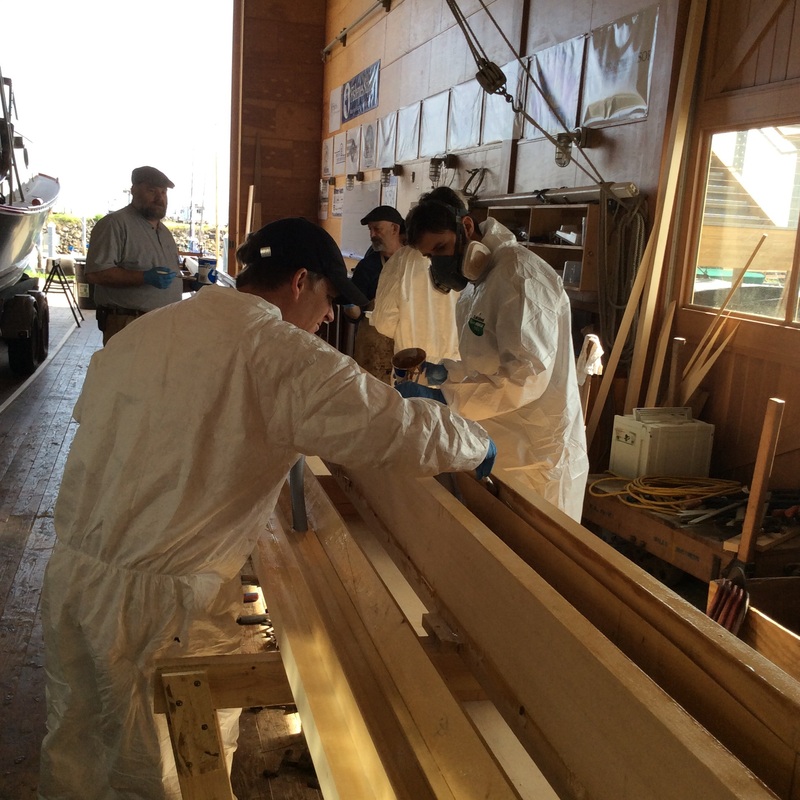 Under the direction of Doug Jones of Traditional Boat Works and with the help of Robert d’Arcy Marine Services, Scott Jones from the NW Maritime Center, and a crew of volunteers who spread epoxy, rolled, and glued the mast. 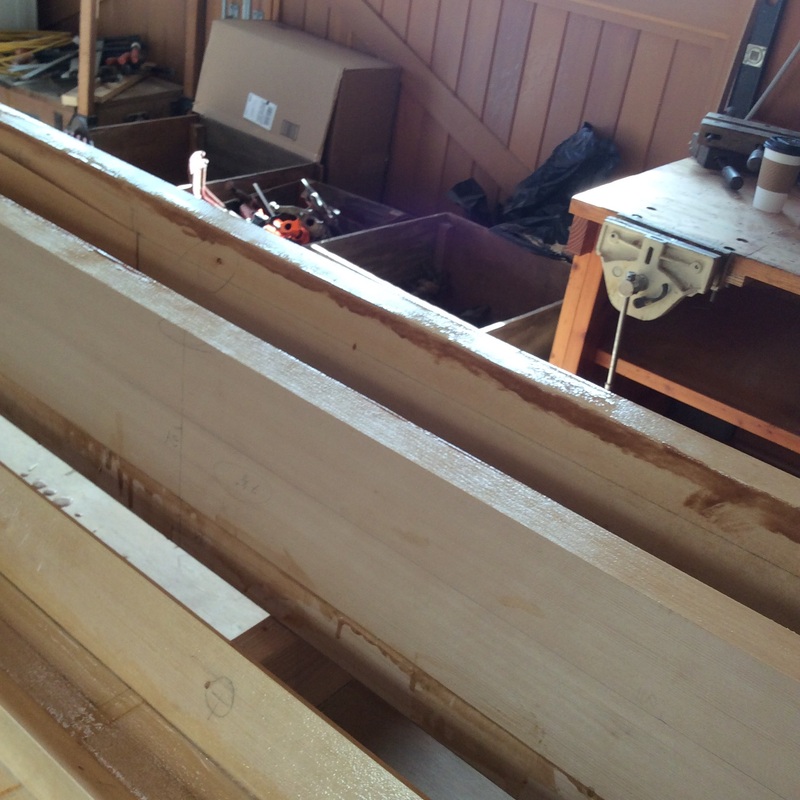 ORIENT is an S & S design #204 cutter rig sloop that was launched in 1938 in Hong Kong that is currently in Ventura but is moored in Santa Barbara, California and is owned by Kathy Roche. 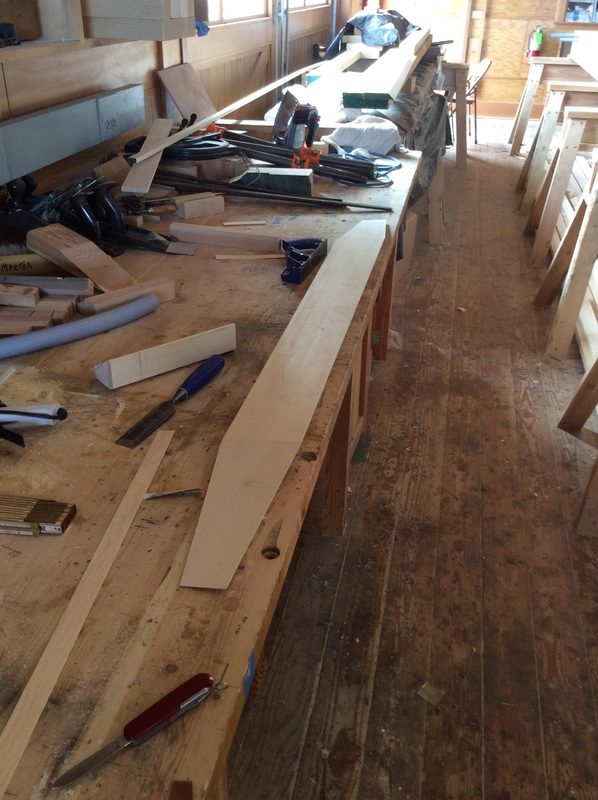 Please click on video below to see glue up.